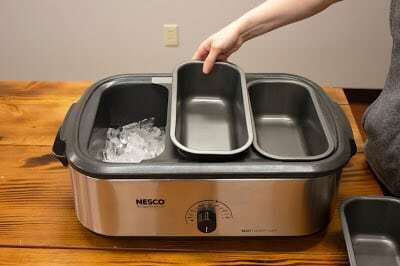 Your classic NESCO Roaster can be used for serving up cold food as well as cooking everything to perfection. All you need is an 18 Qt. 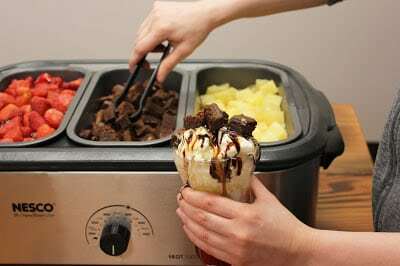 NESCO, Buffet Kit, ice and your favorite ice cream toppings. 1. Leave your Roaster unplugged and fill with ice. 2. 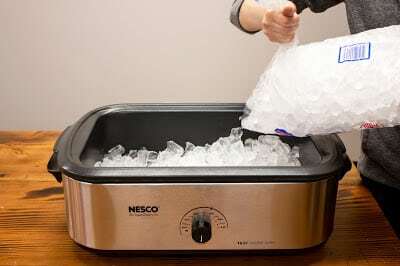 Place Buffet Kit in Roaster on top of ice. 3. Fill with your favorite sundae toppings.